The mobile phone industry is so competitive that banking on marketing new and cool features alone won’t cut it anymore. What do you do when your industry is competitive and doesn’t require a big marketing budget? Be creative and take advantage of situations around you! When you see a queue, there’s a 90% chance that the people in queue will be on their phones and not all will be prepared enough to bring power banks. This was proven true a few days ago when Apple launched their new iPhone. Eager crowds camped outside the Apple store in Singapore to get their hands on the newest edition of the iPhone, waiting for hours, and sure enough, battery life suffered – but fortunately Huawei had the answer. As you might expect, the gesture prompted the wittiest minds on Twitter to share their thoughts. #tech. #Apple. #iPhone. 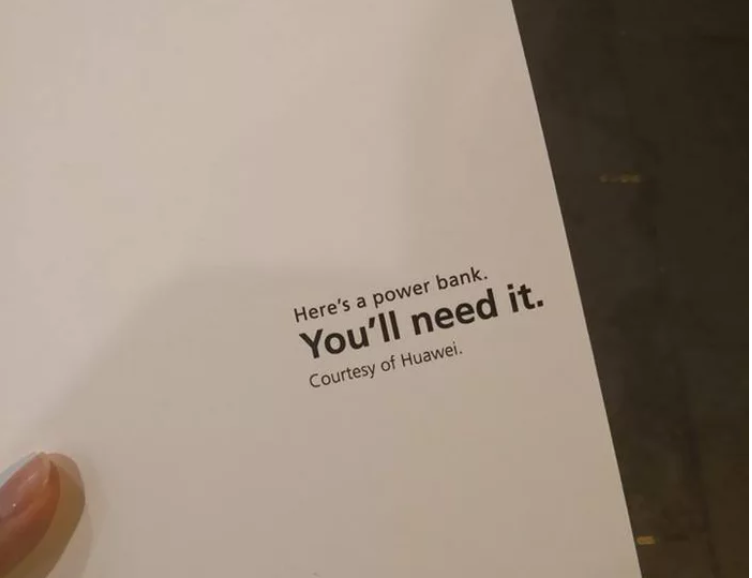 #huawei. #troll. #powerbank. #singapore. #orchardroad.